Do you need homework help? Research assistance? ACT/SAT practice? These resources and more are available to you with your Fern Ridge Library Card! This database features exercises and tutorials in several subjects for both middle and high school students, career & college support help, and much more! Need article sources for school? Gale databases include articles about art, history, health, law and more! Did your car break down? Do you need to change the oil? The answers to these questions can be found in this database! Are you looking to get your license? 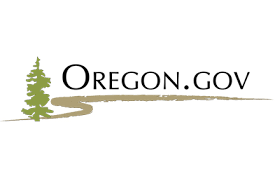 Oregon.gov has all the information you need for this next step in your life, including DMV practice tests! Do you need research help at 2AM?! Answerland provides you with 24/7 research assistance from trained librarians. ​GCF Learning and GCF Global offer a wide variety of free online tutors on tons of subjects! Curious about comptuers? Math? Resumes? Grammar? Money basics? Learn about these things and much much more!